Indoor Hockey, the best kept secret of Germany!? In this mellow winter nothing better than talking about the most beautiful event of this period, (no, it’s not Christmas) the indoor hockey season and the importance of this variant for player development. Allowed me to start with some facts: some weeks ago, Germany U21 won the Junior World Cup for the 6th time (!!) in history; the senior German national team won since 2000; 2 Olympic Gold medals, 2 World Cups, 2 European Cups (besides a Bronze medal and a Silver World medal), at club level a German team had won 3 times the most important European tournament in the last years and besides this enormous outdoor achievements, Germany have been also dominating the indoor scene either in club and nation competitions winning almost every tournament they participate. Some might refer to this period like I heard recently just as an ‘hype’, others can blame an outstanding generation of players that was raised within the last 20 years in the country, while others can fairly mention factors like the traditional psychological endurance, athletics or a very strong national youth system to justify the permanent capacity not only to perform at the highest level of the sport but to present year after year new worldwide talents. If countries like Netherlands, Australia or England have similar conditions or even a bigger number of athletes pool why aren’t they achieving similar success? Although the path previously referred is obviously a sum of a variety of complementary factors I believe that a very important part of the German successful pattern lies in their strongly involvement with Indoor hockey. Worldwide, hockey nations use the winter months to rest from the outdoor competition allowing players to compete in indoor format, to keep their fitness in an acceptable level and having some contact with ball until the second half of the outdoor season restarts, there is also the case that some national teams use this period for test matches and few international players prefer to skip indoor competition to have some rest or do some physical recovery. 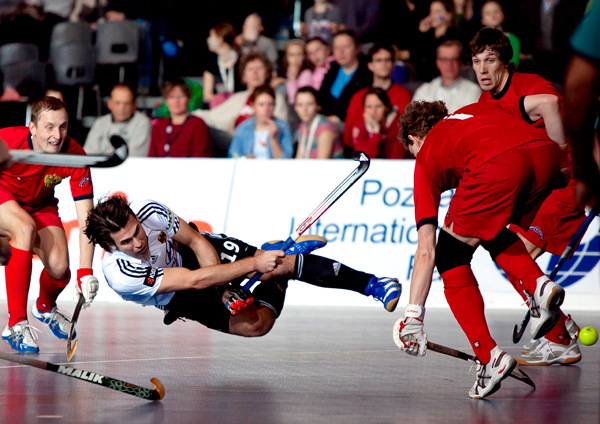 Nevertheless, Germany uses and promotes indoor hockey as a sport inside the sport, having a larger competition time and ‘investing’ in training, coaching and also promotion: weekend after weekend, indoor matches have hundreds of (paying) spectators eager to watch a fast, technical, exciting game! That ‘bet’ or ‘culture’ in this variant is in my opinion, the detail that brought Germany to the very top of the game in a sustained way supported by an enhanced style of player; skill developed, tactically irreproachable and with a predominantly effective decision making. Why indoor hockey improves your game? I truly believe that besides the technical and tactical benefits, the elements that are referred in the Tweet above make indoor hockey it such a special game. Therefore I regret that is so neglected by international and national governing bodies. *As a quick note and since the current hot topic about indoor hockey is the new rule of 5X5 instead of the old format of 6X6 would like to state that among others the intent to create more space for individual actions promoting a more skill related and therefore exciting to watch game and the need to create similarities with other (more recognizable/famous) indoor sports seems logic and fair to me, nonetheless I would state as a member of the ‘community’ and professional that everything that aims for a improvement and growth of the game is surely welcome but we must be careful and sensitive with the way trials of rules or specifications are implemented or tried because it is necessary to create not only a standardization of the rules in different levels, ages and competitions but also consistency otherwise is even more difficult to fixate and attract new members to this amazing family! This entry was posted in Opinion and tagged coach, Coaching, Competition, Eurohockey, Fieldhockey, Future, Germany, hallen hockey, hockey, Indoor, indoor hockey, Netherlands, skill, Sports, training, zaal hockey. 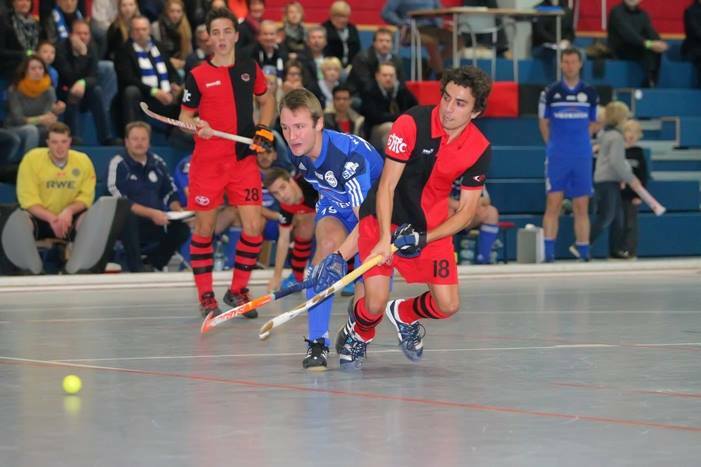 Pingback: Indoor Hockey, the best kept secret of Germany!? A very compelling article. In England we have issues around the sports hall availability. Bernardo is very accurate though. Every nation has it’s strengths but Germany has more and it’s structure of club hockey is excellent. Hence the development and implementation of airdomes for indoor hockey in The Netherlands now..